The best way to experience the wilderness! Camping is the best way to experience the great outdoors! The country is well-known for its beauty and many campsites are situated in stunning areas. With so many campsites in New Zealand, it is an affordable accommodation option. Sometimes it’s even free! 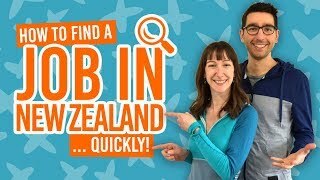 Not only that, but you can meet a variety of people when staying in campsites, from fellow backpackers to families, both overseas and Kiwis. So check out the guide to camping in New Zealand below to see what your options are when it comes to New Zealand camping. We’ll go through Department of Conservation campsites, holiday parks, free campsites and freedom camping. The laws on freedom camping are a little fuzzy in New Zealand, after the Freedom Camping Act 2011. You can freedom camp on public land only if you are camping responsibly (see the eco-friendly camping section below). However, councils can enforce camping bans on certain areas or entire districts. Anyone found camping in a banned area or not camping responsibly can be fined up to NZ$10,000. Yikes! Unless you are certain you can legally camp somewhere, it is smarter to pick a designated campsite. Plus, campsites at least have the basic facilities to benefit you and the environment. For more information on freedom camping in New Zealand, head on over to our freedom camping guide. Check on the DoC website to find your nearest campsite and the Holiday Parks website to find all holiday park campsites. To have your DoC campsite locations on the road, download the NZ DoC Campsite Finder app. DoC has six types of campsites. Some campsites require booking in advance through the DoC website or at a DoC visitor centre. Other campsites require you to pay fees via the self-registration system at the campsite or nearest visitor centre. You pay per person in the DoC campsites. Serviced campsites (NZ$15) have toilets, water, kitchen bench, hot showers, rubbish collections. Some will have BBQ, laundry, fireplace, cooker and picnic tables. Scenic campsites (NZ$10) have the same facilities as services campsites minus kitchen bench, hot showers. They may have cold showers. Standard campsites ($6) a more basic toilet (composting or pit) and water supply (tap, stream or lake). They May have cold showers. Basic campsites (free) are similar to standard campsites, but be prepared to be fully self-sufficient. Backcountry campsites tend to vary in price and facilities. There are almost 60 Great Walk campsites. They provide similar facilities to standard and basic campsites. Holiday parks tend to have all the facilities you need. As well as campsites, they tend to have units, powered sites and even a hostel or motel. So in holiday parks, you can expect hot showers, toilets, laundry and kitchens. Take a look at our Accommodation Guide to Holiday Parks in New Zealand to get an idea of what accommodation types are available. Holiday park fees tend to be per site used, rather than per person. Prices range from NZ$30-NZ$50. Therefore, the more people the merrier (and cheaper)! In New Zealand, you are never too far away from a holiday park, especially in spots with points of interest. Find out where your nearest holiday parks are on the Accommodation Parks Association of New Zealand’s website. When you see how beautiful New Zealand is, you’ll want to do what you can to keep it that way. The unique wildlife, plant life and fellow campers will thank you for respecting the environment. For camping rules you should be aware of and abide by when in New Zealand, see our 11 Golden Rules of Camping in New Zealand. Otherwise, here are some ways to be eco-friendly while camping. Use facilities – campsite facilities are there to convenience you and the environment. Use campsite toilets and showers. Also take advantage of facilities on the road. Don’t litter – take waste with you and find a bin. Recycle – it saves the environment and money to reuse water bottles and plastic bags. You can also find recycling bins. Just ask at the local i-SITE. Use dump stations – if travelling by camper van, NZ has many designated dump stations. Ask at your nearest i-SITE. Don’t wash your clothes in rivers and streams – to prevent the spread of unwanted pests and diseases. Fire bans – do not light a fire if there is a fire ban in the area. When camping in New Zealand, it’s best to be prepared. After all, New Zealand is said to experience “4 seasons in a day”. So clothes-wise, you should carry waterproofs and extra layers to keep warm. Make sure your tent is waterproofed and sealed before using it. Check the specific facilities at campsites before embarking on your adventure, to see what cooking equipment you might need. For multi-day walks in New Zealand, such as the 10 Great Walks, check out our article on How to Prepare for a Great Walk.